While authorities disagree as to the advisability of adopting a strictly vegetarian diet, there are increasing numbers who believe that such a diet is wholesome and beneficial. Be that as it may, vegetable menus are so much in demand that it behooves the housewife who caters to vegetarians to see that the necessary food elements are present. While fruits and vegetables are rich in starch, sugar, mineral salts, and acids, there are only a few that are rich in protein and fats. For those who do not object to animal products, milk, cream, butter, cheese and eggs should be generously used. Cheese naturally suggests itself as a meat substitute as it is a highly concentrated protein food. Weight for weight, it contains twice as much protein as meat and its fuel value is almost double. 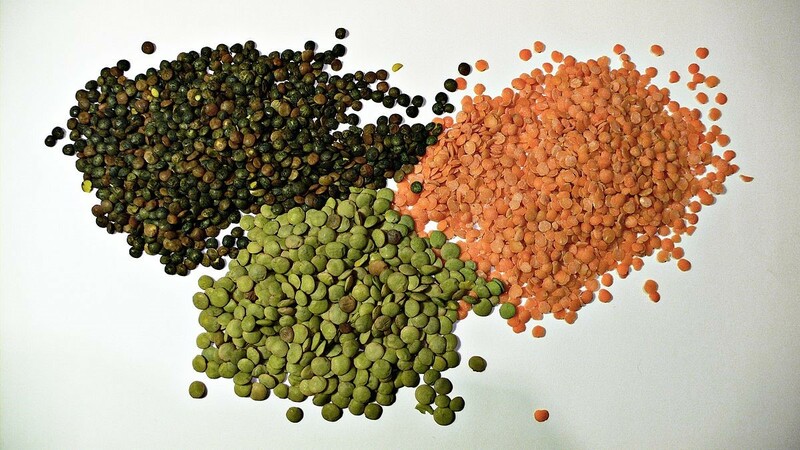 Dried peas, beans and lentils are the vegetables conspicuous in protein and therefore are excellent as meat substitutes. There is a Hindu proverb, “Rice is good, but lentils are my life.” Mushrooms are also valuable meat substitutes. Nuts may also be regarded as meat substitutes, especially peanuts, almonds and Brazil nuts. Nuts, however, are rich in fat. No other vegetable food is so rich in fats as nuts. On account of their high fat content, an excessive consumption is likely, sooner or later, to derange digestion. They should be combined with foods having a low fat content. If properly combined with other foods, they furnish valuable food. The cereals, such as oatmeal and whole wheat preparations, contain from 13 to 16 percent protein and therefore may be regarded as protein supplying foods. Combining them with milk increases the protein content and furnishes a happy balanced combination. It all sounds so worthy, doesn’t it? Yet now, with recipes from traditionally vegetarian cuisines from parts of India, or meat-poor cultures such as parts of Italy we have a wealth of interesting and colourful recipes to enjoy. And most of us, for ecological and health reasons, go meat free much of the time anyway, I guess. I no longer know anybody who eats meat every day, I don’t think. I wonder what recipes a hundred years hence will look like? Good question. And based on what I read, they will have been grown/created in non-traditional ways. It’s fun to think about how foods and recipes might change over the next hundred years. I hope that people still will enjoy cooking and eating foods that are not overly processed. It always fascinates me how knowledgeable they were so long ago, knowing all about proteins and fats. I also am often surprised by how knowledgeable they were. There obviously were people who were conducting research on things like proteins and fats in the early 1900s. This is fascinating. I also had no idea that vegetarianism was a thing back then. The part about mushrooms being a meat substitute was surprising. One thing I’ve noticed is that pieces like this are written in a much more straightforward, concise way than a similar article would be written today. I think I like the 100 year old way of expressing information through writing better. In the days before multi-media ways of presenting information, there was much more focus on the written word. When I read magazines from a hundred-years-ago, I’m often surprised by the the quality of the writing – and the apparent reading level of the readers. I once put a couple paragraphs from a hundred-year-old issue of Good Housekeeping, and a similar piece of text from a recent issue of the same magazine through an online grade-level readability checker. The text from the 1910’s was at the 8th grade level, and the recent text was between grades 4 and 5. Wow, Sheryl! That is so interesting, yet not surprising. I feel like what I read in your hundred year old pieces was written by someone who took their job to write very seriously and took care with getting the proper facts and information across. Now everything seems so much about entertaining or marketing. Thanks for sharing this insider info! Interesting post. Found this 2014 Atlantic article, “How Americans Got Red Meat Wrong” (https://www.theatlantic.com/health/archive/2014/06/how-americans-used-to-eat/371895/), because I long assumed that early Americans didn’t eat much meat. Wrong! Happy to say that red meat consumption is finally dipping (I’m a 40-year vegetarian and now mostly vegan), but we have a long way to go. The truth is animal agriculture is destroying our environment (animal ag is to blame for more greenhouse gas emissions than ALL transportation combined). Good article here: https://www.theguardian.com/commentisfree/2017/dec/04/animal-agriculture-choking-earth-making-sick-climate-food-environmental-impact-james-cameron-suzy-amis-cameron. We need to wake up and make change, for animals, ourselves and our planet. Thanks for sharing the link. The article about the history of red meat is absolutely fascinating. Until I read that article, I had not known that the statistics from the early 1900s did not include meat that was not sold across state lines. This sure eliminated a lot of what was eaten, including locally-produced meat and wild game. Why does everything that’s tasty have so many calories? I love mushrooms, but never thought of them being a meat substitute. While I love my meat and probably couldn’t go totally vegetarian, I am trying to include more meatless meals – for the health benefits and the cost savings. Thanks for the post! It’s fascinating how they considered mushrooms to be a meat substitute back then – though I have a vague memories of restaurants serving one vegetarian dish when I was a child, and that one dish inevitably was stuffed mushrooms.